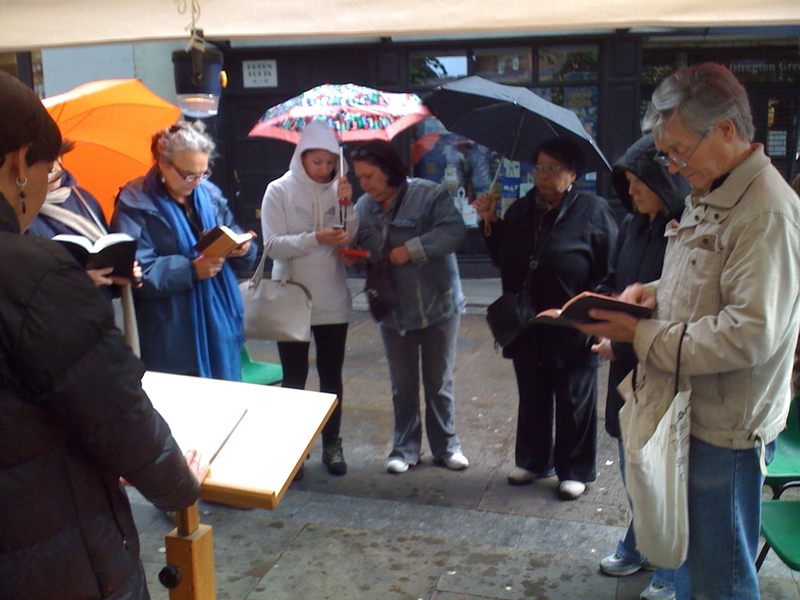 We joined with other churches in Islington to mark the 400th anniversary of the KJV Bible by reading it (cover to cover!) on Islington Green this weekend. We fulfilled our early morning slot through all sorts of weather, rain and shine, but thoroughly enjoyed ourselves!